Prime Ministers will come and go but Indian Army will remain the final bastion of this nation. Our defence forces have a long track record of being apolitical and are respected worldwide for their professionalism. 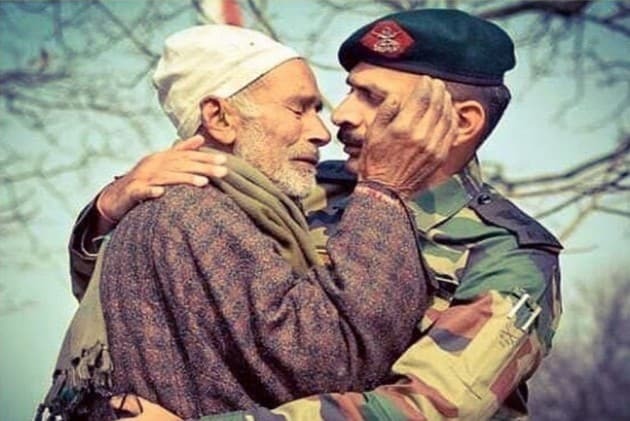 Indian Army is the army of its people and has always acted to save its citizens from external aggression and internal disturbances or insurgencies. Insurgency in Punjab was controlled largely due to the fact that Indian Army under their Chief General Bipin Chandra Joshi had cleared all rural areas of militants and had left the populated urban areas to the Punjab Police. The Chief had decided that the army would not take any credit but would continue to provide area security and actionable intelligence to the state police, allow it to take the credit and re-establish its credibility. That is the mettle Indian Army is made of and the politicians of all hue and cry must adhere to the opening sentence of the code of conduct laid down by election commission that clearly states that politicisation of the army should not be resorted to. The fire brand Chief Minister of Uttar Pradesh Yogi Adityanath in an election rally has remarked that Indian Army is Modi Ji Ki Sena. It is a well-known fact that this CM also had an army of his own. Indian Army is an instrument of the state and does not belong to any political party in or out of power. The credit for giving a political clearance for operating across the Line of Control should rightly go to PM Modi. Again, the credit of placing all instruments of intelligence gathering or monitoring the movement of inimical forces as also tracing the moment of own troops in territory controlled by the enemy must go to the National Security Advisor Ajit Doval. The credit of planning and coordinating operations goes to the Director General Military Operations acting in behalf of Army Chief and the Northern Army Commander. The Corps Commander was responsible for coordinating and provision of all resources at his call to support the operation. The actual credit of launching the surgical strikes across the enemy lines goes to the Commanding Officer, the team commanders and the troops of Special Forces who went across and risked their lives and the pilots of Indian Air Force and their base commanders. If the PM, NSA, the then Army Chief or the Army Commander take credit for launching surgical strikes, then they are far from the truth. Unfortunately, for this nation, they are all taking credit, time and again, to gain votes or favours for plum appointments within and outside the country. Number of movies and web shows like Uri and certain others have misguided the nation in showing that the operational and tactical wisdom flowed down from the PM and the NSA. The PM and NSA have had no formal training in military matters and are not well equipped to lay down operational plans. Such operations had been done earlier also but in a covert manner to impose your will on the erring opponent. The difference is that this time it was made public and the surgical strikes are being milked time and again to score browning point against political opponents. It is but natural that when corned in this issue, the opposition starts doubting the veracity of the claims and starts asking proof of these operations. Both the ruling party and the opposition have done ample harm to the credibility of our armed forces as also the confidentiality of the operational plans. The time has come when there needs to be a public outcry in support of no politicisation of the armed forces. When you talk to the common man on the street he has a lot of respect for the armed forces. The best way to build nationalism is to have conscription wherein every abled man and woman does military training for a specific period. USA and some European nations have had conscription from time to time. Israel and some of its Arab neighbours still have conscription. It will be argued that India, because of its burgeoning population, cannot afford to have conscription. Shall we then lay it down as a legislation that all individuals aspiring for government jobs and public life must have a compulsory two years military training? That will cover all future politicians and bureaucrats. Very systematically, the bureaucrats and the politicians over the last seven decades have been bringing down the status of the premier institution of defence forces, in successive pay commissions. The biggest user of the pay commission, the defence forces never have had a representative in the pay commission. The Ministry of Defence has not been integrated with services Headquarters like in all modern democratic nations and behaves like a higher Headquarters without having any practical knowledge of matters military. No modernisation has taken place either in the ten years of UPA government or in the last five years. The civil military relations in the county are at its lowest ebb under the present government. Although in principal, this government has given One Rank One Pay in the beginning of their tenure, the bureaucracy has successfully insulated the politicians from the services and have ensured in holding the government from completing its promises. The rapid changes of Defence Ministers who have been political light weights shows that the PMO has little time for ensuring true national security except for resorting to rhetoric and pushing agendas in the name of national security. This must change with the new government in office this summer otherwise we will get a rap on our knuckles again like 1962. Very well brought out, the writer has done a thorough research on this. Indera Gandhi period congress certainly created a political success.